Help I can’t find my NVC need! Give your reaction in the comment section underneath! 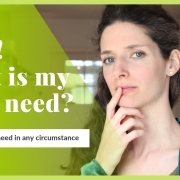 https://cupofempathy.com/wp-content/uploads/2019/04/Youtube-Thumbnails-DEF-4.jpg 720 1280 Ingrid https://cupofempathy.com/wp-content/uploads/2018/12/Cup-of-Empathy-logo-2018-d-strak.png Ingrid2019-04-09 08:13:242019-04-09 08:19:36Help I can't find my NVC need!